"Hi dad, I'm thinking about running onto the field at the Phillies game, what do you think?" 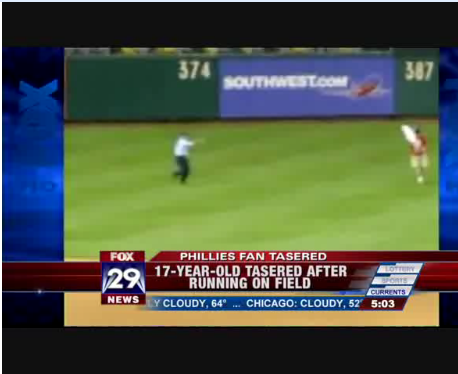 According to the news this morning, that conversation happened right before a 17-year-old baseball fan was subdued by a stadium security officer with a taser gun after he ran on to the field during a Philadelphia Phillies home game May 3rd. So the question is, was the taser gun appropriate for the situation? 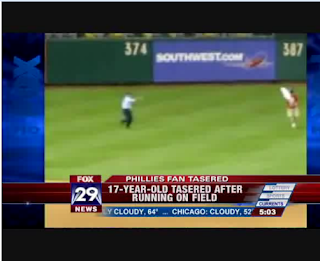 While it appears that the fan was unarmed and harmless, can you really be sure? In 2002, Kansas City Royals first base coach, Tom Gamboa, was attacked on the field by a knife wielding father and son duo. Some of the controversy has to do with the age of the tasered kid. How was the policeman suppose to know how old the kid was? All things considered, I feel that officer acted appropriately to control the situation to keep themselves and the ball players safe. I always look for the conspiracy theory. I think that Southwest Airlines paid the kid and the officer to set up the perfect scenario for their Wanna Getaway campaign. Check out the strategically placed outfield fence advertisement. 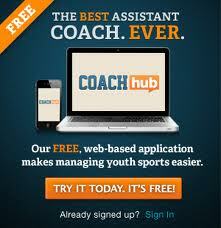 Kids listen to your fathers, they are smarter than you think and probably smarter than you. My kids both had games tonight at the same time about 1 mile apart. I went to see my daughter's first AB. She was hit by a pitch on the knee cap. She ended up getting hit by a pitch twice and walked once. Girls fastpitch softball can be rather boring. Her team won. My son's slump continues. This past weekend we went to the batting cages and my son was mashing it. He was mashing it in the 55 mph cage, the 70 mph cage and even the 80 mph cage. He entered tonight's game with a lot of confidence. Unfortunately, he faced a pitcher who threw the ball about 40 mph. He is beyond frustrated.